What feels like many moons ago, I shared my favorite baby items that made life with a new little one a bit easier. Now, 18 months in to that little one's life, we have a crazy, busy, wild, loud toddler on our hands. Here are a few of my favorite items for the toddler stage, so far. 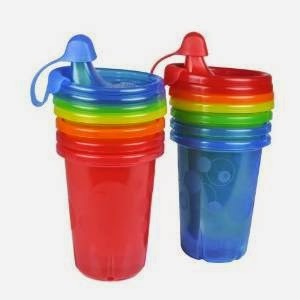 Take and Toss Cups: These cups are super cheap and awesome for the daily cups for milk and water. You can get them for less than a dollar a cup, which makes it easy to buy enough to get you through a couple of days. Just throw them in the dishwasher and you're good to go. We use these for milk in the morning, afternoon, and evenings, and sometimes water when we can't find his usual water bottle. Camelbak Water Bottle: And speaking of water bottle, we started using this one at the request of a friend. I bought so many different kinds over the last six months or so, and each one would leak or break. 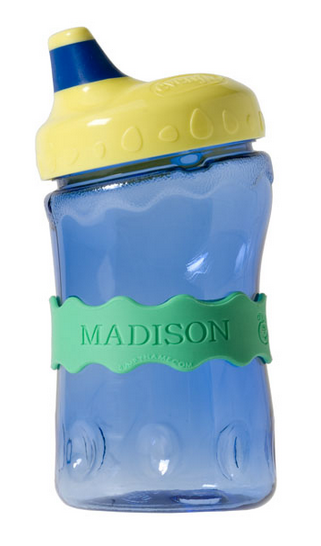 This one holds up well, is dishwasher-safe, and Liam knows how to open and close it by himself. InchBug Name Labels: I've received these as gifts a couple of times, and we love them. With Liam in daycare, these were especially helpful for his bottles his first year, and now I use them on anything we take out of the house. They're a great personalized gift! 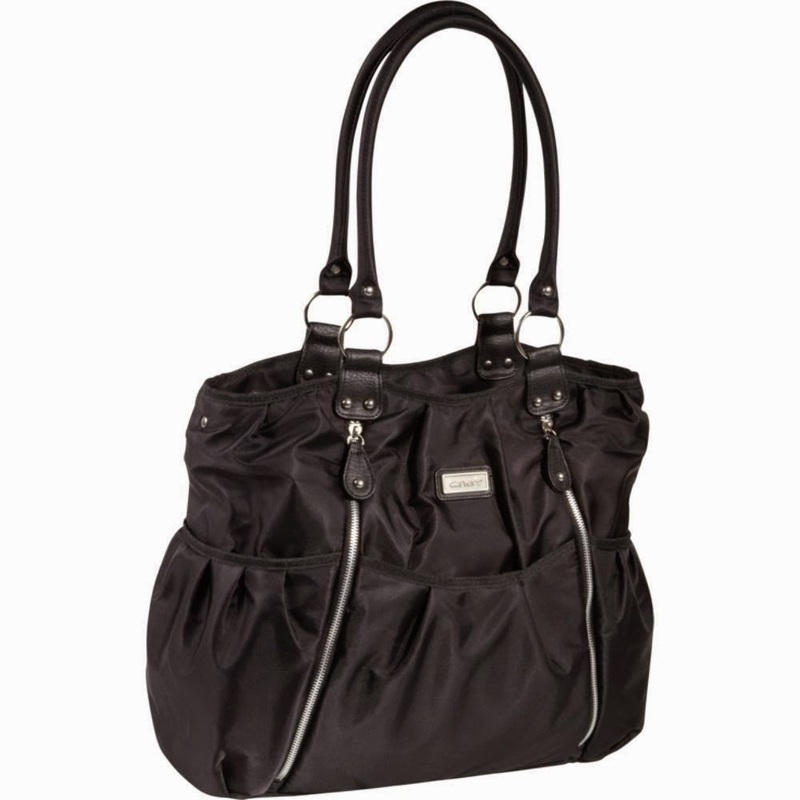 Carter's Diaper Bag: When Liam was little, I used a Petunia Pickle Bottom backpack diaper bag. 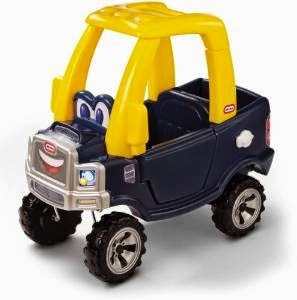 I loved it then, but as he got older, I needed something that was easier to get in and out of, and could hold a lot more things - like snacks and toys - as well as my own personal items since it doubled as a purse. I love this bag! It looks like a fun tote bag, but it has a ton of pockets on the inside and outside, and isn't over-sized or bulky like so many diaper bags out there. Disposable Placemats: These are a lifesaver when we are out and about and want to grab a quick bite. I keep a pack in my diaper bags so we can always have one on hand for restaurants. 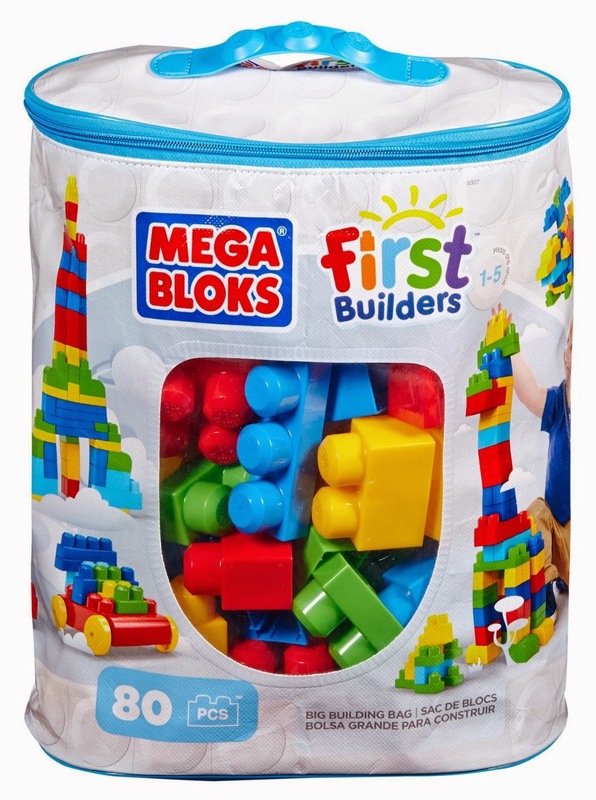 MegaBloks: Liam loved building, and he will sit - actually SIT - for minutes at a time with these building blocks. We have two sets which fills up a small basket in our living room. He loves pulling them out to play! 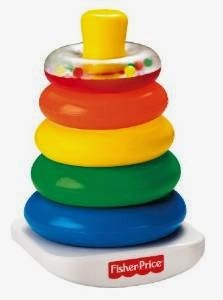 Fisher Price Stacking Toy: I got this for Liam when he turned one, and over the last few months he has become obsessed with stacking the rings in order. Now, he actually says the color of the rings as he stacks them! 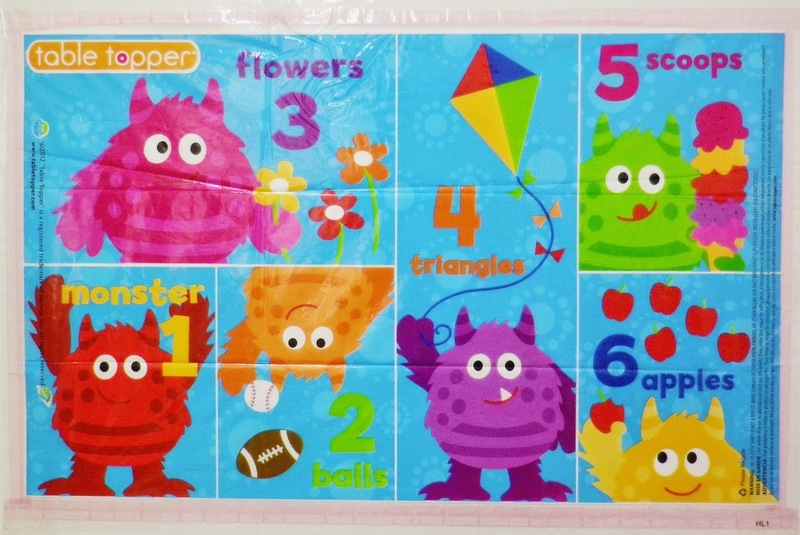 It's a cheap toy that provides lots of entertainment and learning skills. Little Tykes Truck: To keep Liam in tune with his Texas genes, my sister got him this truck for his first birthday. He loves everything about it - sitting in it, honking the horn, pulling the tailgate up and down, opening and shutting the gas tank, and of course, going on rides. Do you have any favorite toddler items to add to this list? Most links are affiliate links through Amazon.